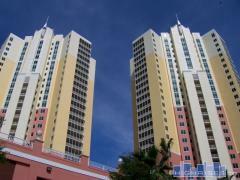 Allure is a brand new contemporary-style high-rise complex in Fort Myers. Allure will be comprised of two 32-story towers featuring 292 luxury units. Amenities will include a stunning infinity edge swimming pool, spa with massage rooms, a billiard room, fitness center, and much more. Have any comments or questions about Allure Condos? Ask your question and/or share your thoughts about this Building. Price range for 2 bed 2 bath?